Welcome to the Walter M. Williams High School Academy of Finance Website! The Academy of Finance prepares students for the real world of work after high school by exposing students to a variety of experiences to make them young professionals. Experiences include community based activities, field trips to colleges and New York City, and co-curricular assignments. We believe that by using the 3 R's (Rigor, Relevance and Relationships) we are giving our students a toolbox for their future as well as giving Alamance County a strong workforce for the future. Welcome to our new Williams AOF website! With these renovations, we plan to utilize the site for a higher volume of use in areas of communication, fundraising, and display of what we're doing in the community. Check back often for more news, activities, and new AOF merch! Following another successful year, we graduated 13 students in the class of 2018! 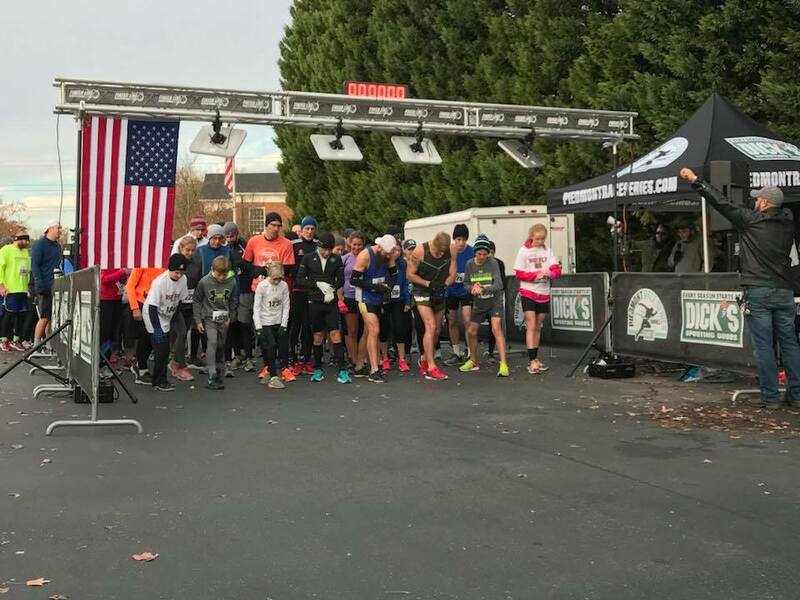 We had over 200 runners participate in our 3rd Annual Turkey Trot & Fun Run last year. Stay tuned for information to register for 2018's run! As members of WHS AOF, students have the resources and opportunities to network and interact with members of the local business community.